750 employees at nine locations produce, deliver, and develop high-quality products and make luxury cars more attractive, quieter, and more efficient. Greiner Perfoam is successful at producing lightweight and highly-durable parts, while still managing to incorporate attractive design. 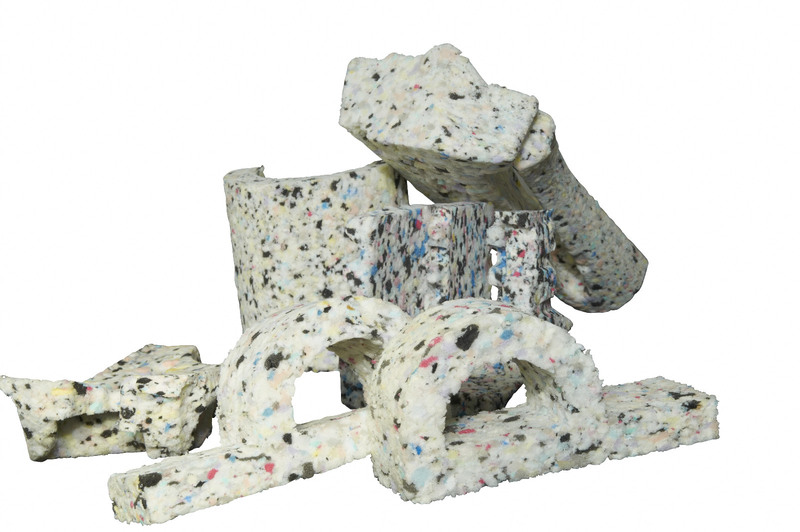 Thermoplastic fiber mats (polypropylene), polyurethane foams, fiberglass, natural fibers, and new as well as recycled foams are used in various material structures. Greiner Perfoam’s core competencies center around a large variety of parcel shelves. The company has a wide range of technologies and processes for individual applications at its disposal. Self-supporting and permanent parcel shelves are manufactured from polypropylene/glass and decorative fleeces. The patented Greiner laminated board process (a ‘sandwich’ made of layers of composite foam and polypropylene/glass) is available for those with particular acoustic requirements. In its polyurethane spray technology, Greiner Perfoam has found the perfect solution for parcel shelves with especially high load bearing and temperature resistance requirements (e.g. in hatchback limousines). Our strength lies in using one-step part-production processes. If required by the customer, we can also provide lamination expertise. Upon customer request, we can take over the sequencing of our parts by implementing this task right into the manufacturing process. Greiner Perfoam leads the way when it comes to producing parcel shelves for the German premium automotive industry. 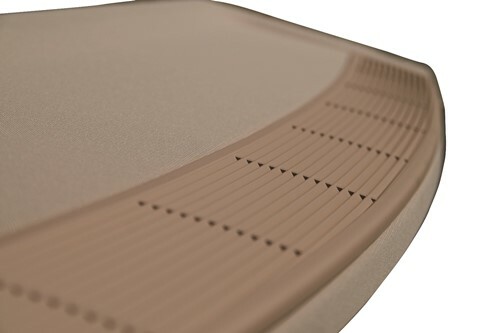 Greiner Perfoam offers an attractive alternative to the conventional convertible top compartments made from multi-layered metal structures or complex solutions of extrusion aluminum or magnesium die casting for the convertible market, which is currently in an extreme growth phase. The advantage of this is that multi-layered superstructures are integrated in one plastic part, but also the fact that it is possible to foam the connection points (e.g. the dome). At the same time, this technology offers the advantage of a low surface weight at a high rigidity and a comparatively low thermal expansion. One of the focus areas at Greiner Perfoam is the sophisticated loading space flooring for SUVs, executive cars, and premium limousines. The advantages here lie in the fulfillment of the temperature and load bearing requirements while simultaneously reducing weight, and in the design flexibility for innovative management solutions of trunks. Greiner Perfoam offers tailored solutions for products, paying special attention to acoustic effectiveness by using the Greiner laminated board process (a ‘sandwich’ made out of layers of composite foam and polypropylene/glass). Loading space covers are visual covers for the trunk and have the added benefit of being able to bear weight. This makes them a good alternative to roller blinds. Besides these highly functional additional uses, there is also a cost advantage. Greiner Perfoam develops and produces high-quality systems made from structures of layered PU which can fold in several places and be equipped with various extra multilayer functions. We focus our work to best benefit our customers. PERcap reduces noise at the source while simultaneously saving fuel with improved thermal management. 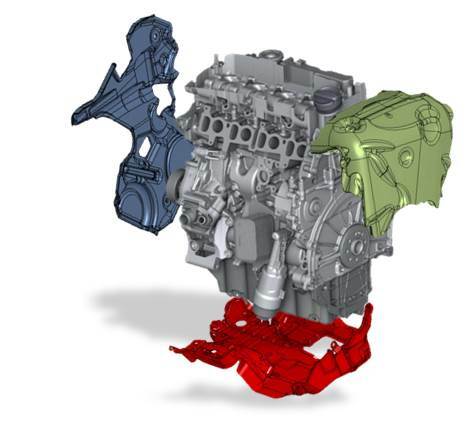 This close-to-the-motor solution for the acoustic encapsulation of combustion and electronic engines as well as transmissions is made out of a thermoformed layered structure of insulating and absorbing materials. Out of respect for the environment, at least 30% of this product is made from renewable materials. 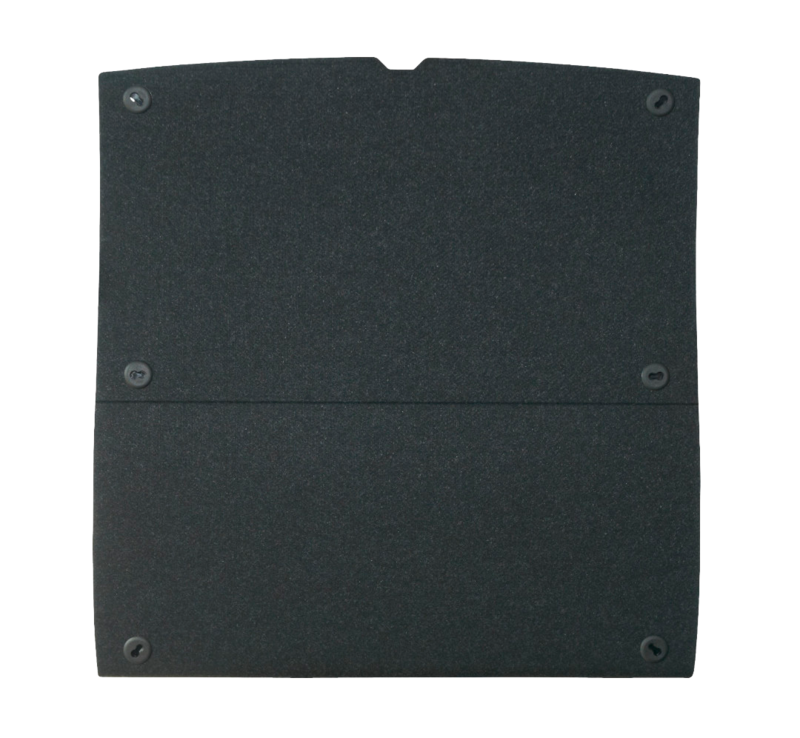 The goal with PERlight® is to absorb airborne sound by using highly efficient acoustic PU foam. These seemingly very simple components are primarily used in the engine compartment and the transmission tunnel. The absorber is highly sophisticated thanks to interplay with the functions lightweight construction, strength, and acoustics functions. PERmold® is made out of 95% recycled material. 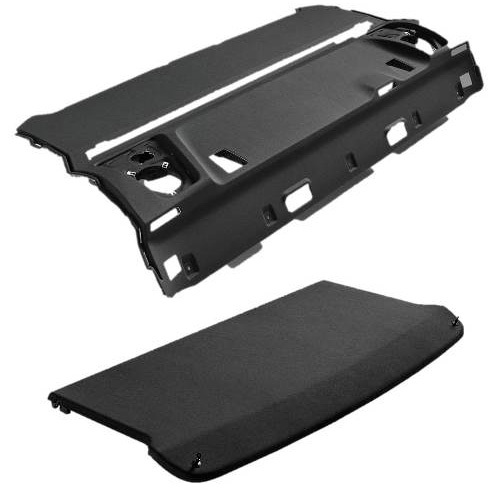 The material is made from the waste cuttings of newly produced foam, complies with the strictest emission standards of the automobile industry, and is used as a vibration absorber in components throughout the car. The roller blind encapsulation is a self-supporting component made out of polypropylene/glass fibers, with a fleece covering on both sides, and is mainly used in luxury cars. It serves both as a receptor for the roller blind and as a brace for the parcel shelf. A further advantage is sound insulation. The pedestrian protection reinforces the bumper at the height of a pedestrian’s ankle so that in a collision with a pedestrian, the pedestrian’s momentum takes them up onto the car instead of pulling them under the car and being run over. 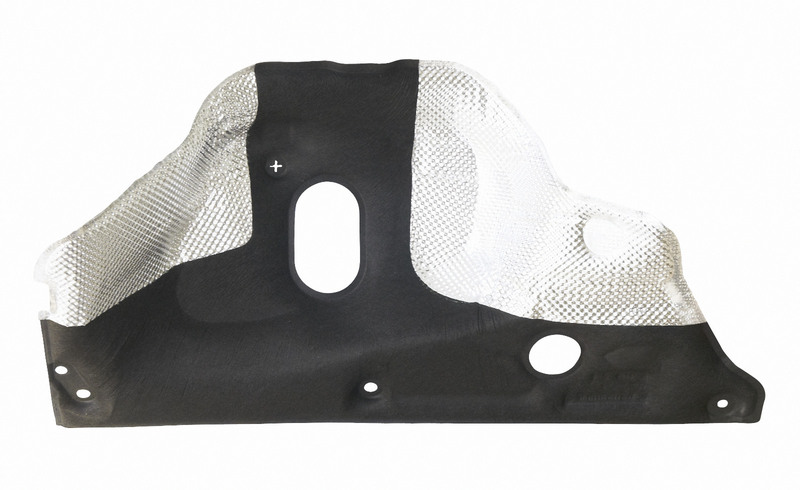 By working together with BMW M GmbH, Greiner Perfoam was able to produce a metal support made from a light, layered component for the BMW 5 and 6 Series sport versions. This way, the weight could be greatly reduced while still meeting the impact protection requirements.